The production value of these images above should give you a hint as to the amount of thought put into the designs. Okay, let’s just jump right in. Yeah, yeah, looks great. Nice clean whites mixed with strong simple lines and the red minimized to the numbers and a little bit of trim to take away from the more Christmas-centric look their branding can sometimes have. I like the blocked-off shoulder yokes instead of the stereotypical rounded-off ones. The new font is way better than their cheesy wildly-ravaged font. The consistent and simple thick and thin striping on the jersey’s sleeves and bottom are what gives this jersey a historical nod while the afore-mentioned yokes and font moves it into the modern and contemporary. It’s really nice. Everything has been minimalized and fine-tuned from their previous road jerseys. 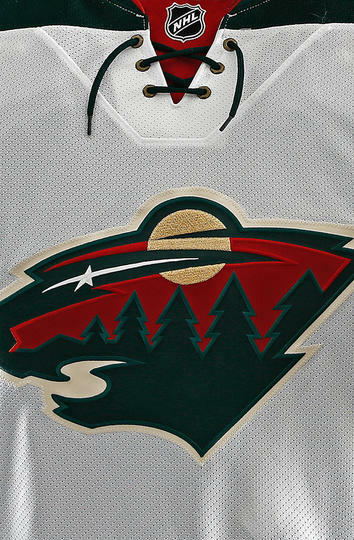 And it completes the move for the Wild from their original branding, as now all of their jerseys have officially moved on from any whiff of ’90s and ’00s design aesthetics, thankfully. I also love that their bright yellow moon on the original logo seems to have been desaturated slightly, making it more of a dark tan/Vegas gold colour. 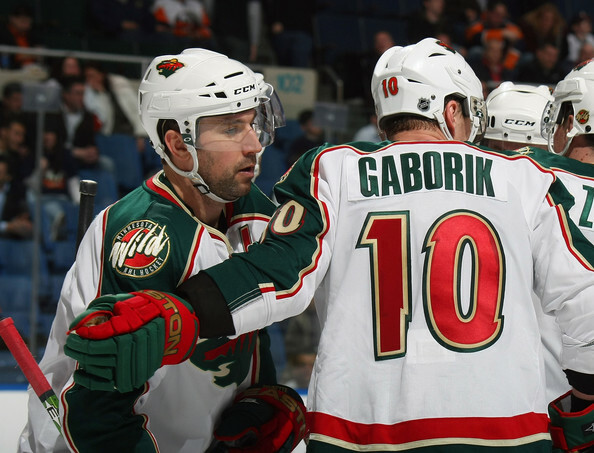 I mentioned that in their BTLNHL entry, so I’m glad that the Wild read my blog. Um…yeah. Good job Sabres. At first, I questioned whether these were actually the official Sabres third jerseys. It was “leaked” on Twitter by Steve Ott, it looked like a practice jersey and the Sabres’ twitter account was silent for a good 10–15 minutes after Ott let the cat out of the bag. Proverbial cat. No cats were taken out of bags in this unveiling. 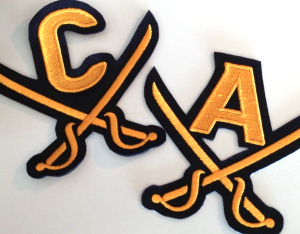 Plus, they had just released a new “sneak peek” at the logo an hour earlier, if you could call it a sneak peak. 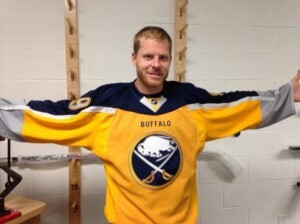 However, unfortunately, this is officially the Sabres’ new third jerseys. And the unveiling was as botched as the new design. 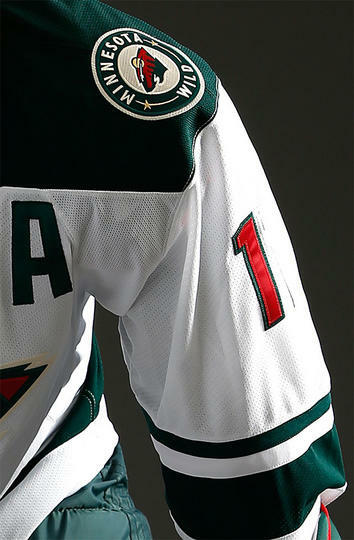 There’s multiple problems with the design of these jersey and most of them have to do with the fact that, unlike the Wild’s new jersey, there’s no homage to traditional hockey jersey design at all except that there’s a logo on the front and numbers of the sleeves and back. 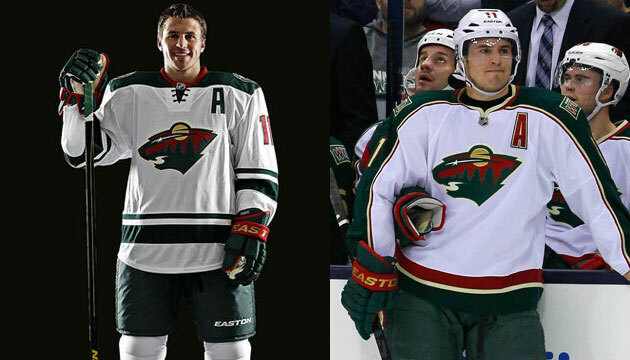 I’m not saying that all jerseys have to look the same or I’m against any sort of advancement or change in the design of jerseys, but the Wild have just shown the proper way to do it. Full-out changes are always going to be ill-received (like forcing the greatest player in the game to wear THIS!). Change comes incrementally in situations like this. The argument could be made that if you’re going to try a full-out redesign of a traditional jersey, the third jersey is a great opportunity for that. I totally agree, and Buffalo still f#*$ed it up. Logistically, I’m imaging problems already. The number and name fonts on the back look pretty oversized for a jersey. It works just fine if your last name is three letters long and your number is only one digit. 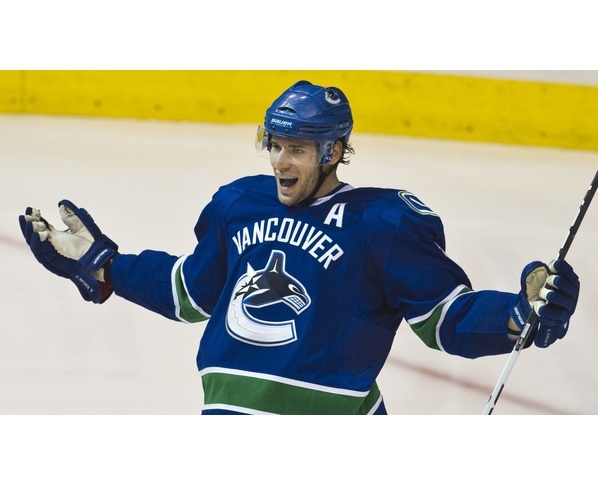 What’s going to happen when they make the new jersey for #25 Grigorenko? 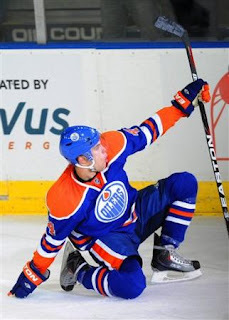 Or if Rasmus Ristolainen makes it to the big league and chooses #88? 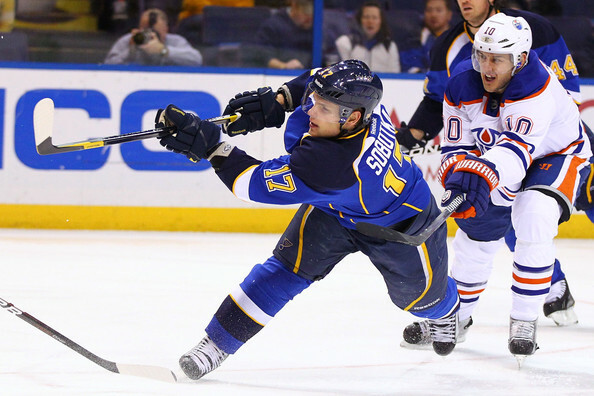 What is Jeff Drouin-Deslauriers makes a comeback with the Sabres? Seems like a lack of forethought and if they do fit, it will most definitely look cramped in the little space provided. Speaking of words on jerseys, what’s with the “Buffalo” on the front? 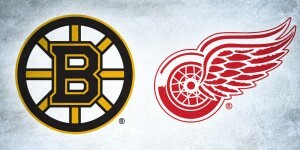 Does anyone else think the initial concept was to turn it upside-down so that the players could look down and remember what city they play for (like Steven Tyler on the Simpsons)? 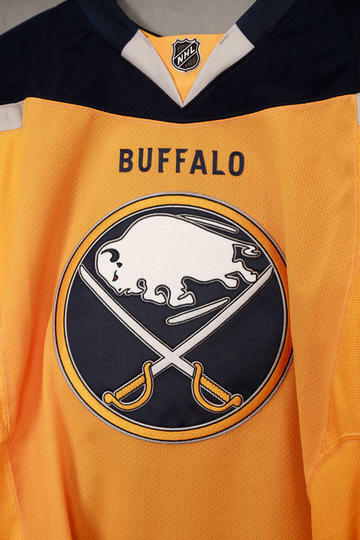 I know that other teams, even my beloved Canucks, have the city’s name on their jerseys as some sort of strange quasi-basketball/baseball/hockey uniform aesthetic mash-up, but if awkwardly shrinking it and making it look out-of-place is Buffalo’s attempt of making the city name a more uniquely hockey-specific design, I want none of it. It looks totally awkward. And is the “Buffalo”, “Ott” and “9” even using the same font? It’s hard to tell, but if so, it’s a badly inconsistent font. Notice the little flared serifs on the Ts in “Ott”? Why does the 9 have none of that? 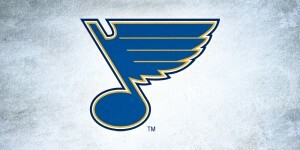 The “Buffalo” has flared-serifs too, but not in the same style as “Ott”. Maddening! I’m glad they tried to use a different sort of font, but just use one! Okay, on to non-type related issues. 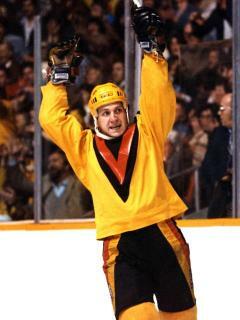 Some people have a big problem with the yellow of this jersey. I don’t at all, and I actually applaud the Sabres for trying to add to the spectrum of jersey colours a bit. 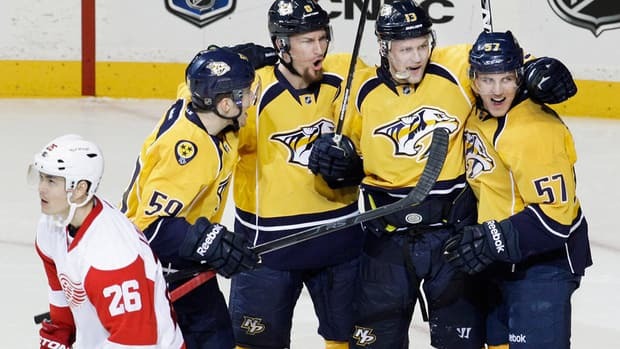 Of course, the Predators already have yellow jerseys (or, rather, more mustard-coloured…Grey Poupon-coloured maybe? 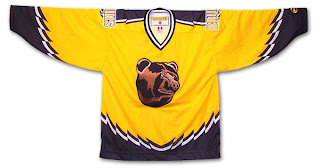 ), and the Bruins have had yellow jerseys in the past (some successful, others not so much), and who can forgot this little yellow treasure? The difference between Nashville though, and these Buffalo jerseys, is that the Predators kept some other conventional design elements, like stripes on the sleeves and bottoms, to keep it from looking like a practice jersey. 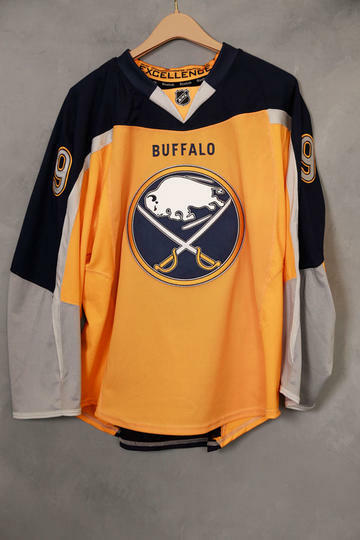 Speaking of striping, again, the Sabres threw every convention out the window, having absolutely no striping on the lower four-fifths of the front of the jersey, but instead letting the yellow wrap around to the back and forming a wavy line against the dominant blue of the back. 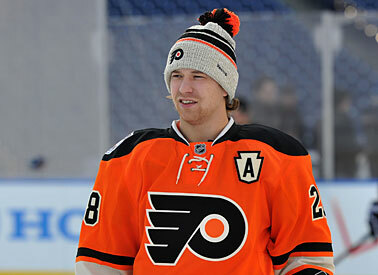 This, more than anything, makes it look like a bad practice jersey. The striping near the top of the jersey is awful, with a solid wavy line stretching from cuff to cuff separating the blue from the yellow. The line is only interrupted by a solid bar of grey that, while conforming to the seams of the jersey, visually ends inexplicably just below the shoulders. 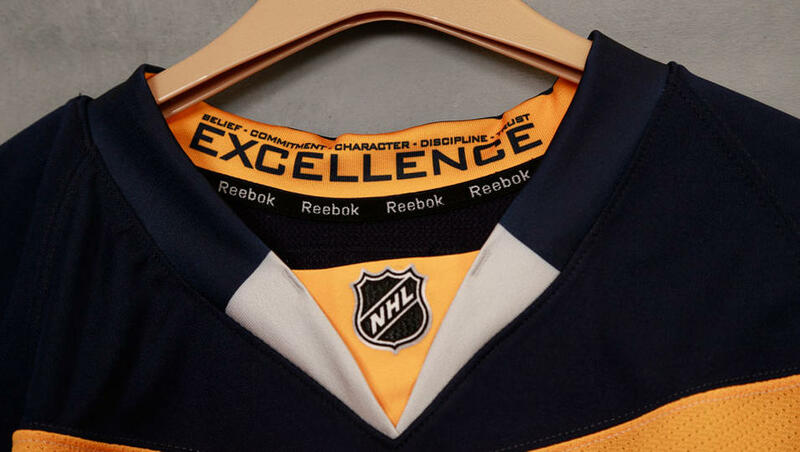 For a jersey that has nothing else with a hard, squared line, I’m not sure why they decided to include one here. It’s stupid, it really is. 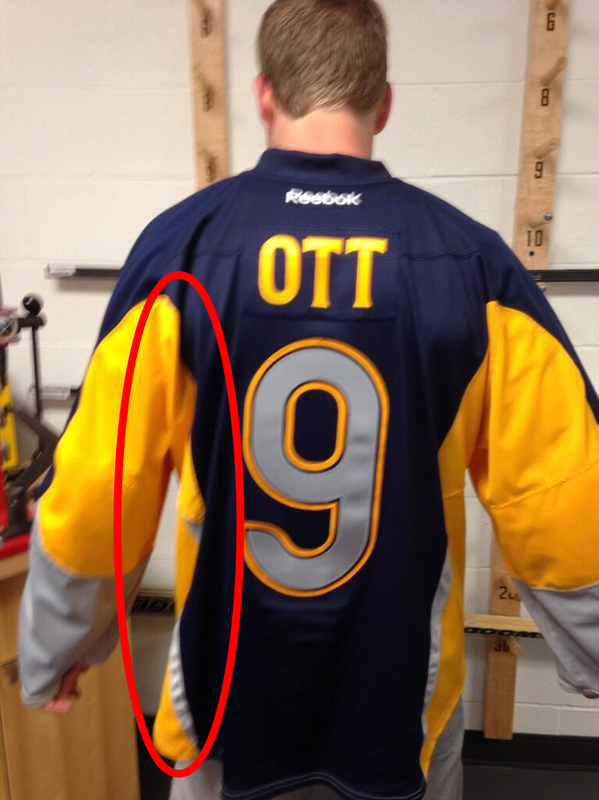 Oh, and there’s weird grey lines included on the back suddenly as well. Bah, whatever! 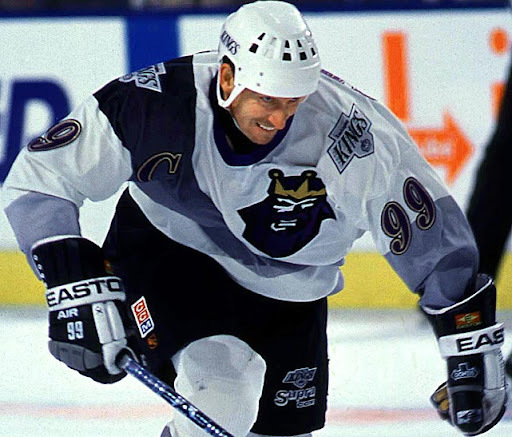 The grey cuffs don’t necessarily bother me that much, as different colours cuffs are not totally uncommon in hockey jerseys (although in most cases, there’s stripes to break up the main colour of the jersey from the sleeves), but why the two tones of grey on the sleeves? They couldn’t have used blue, or yellow, colours that they’ve already established? Why are they adding another colour into this? And are there two tones of yellow as well?! Not sure, as it could just be a photograph in a bad lighting situation, so I would need to see more before commenting on that. But, if there are two-tones of yellow, may whoever god they believe in have mercy on their souls. And why is the blue so incredibly dark? Does it need to be so dark that it’s almost black? There is just so much wrong with these jerseys that I don’t believe it was designed by someone who is a hockey fan at all, or really understands the game of hockey. The idea of strength and speed that is so intuitive in any great hockey design – logo or jersey – is completely non-existant here. It’s weak and there’s so much non-sensical additions on here that it completely boggles my mind. It’s sad, and I really feel sorry for the Sabres’ fans who have to watch these jerseys take the ice. 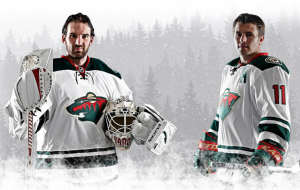 At least they removed the numbers from the front of their regular home and away jerseys. 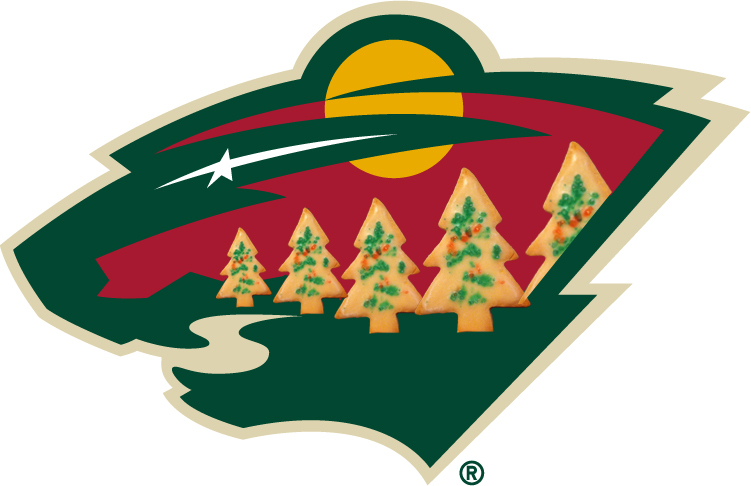 But the best reaction to these jerseys has to go to Chris Creamer, of sportslogos.net fame. Check out his image here. That being said, I do have to say that the Sabres absolutely nailed their new captain and alternate captain insignias. 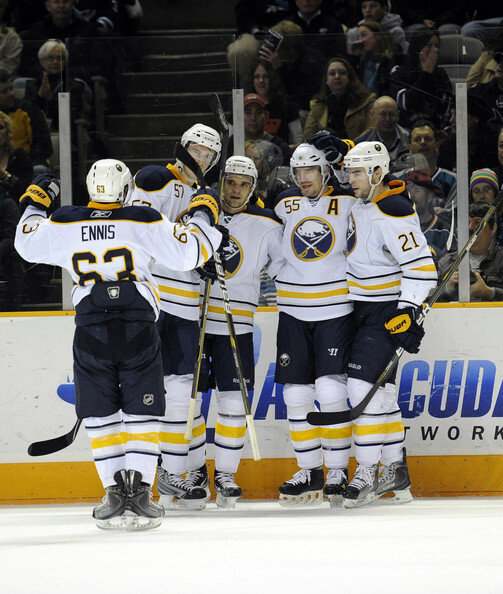 The nice touch of the sabres underneath the C and A is a great stylized introduction, especially on the more minimalist and traditional home and away jerseys (but probably not these awful third jerseys). 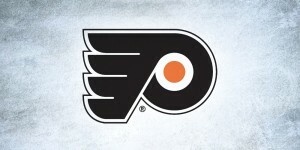 It reminds me of Philadelphia using the keystone icon on their jerseys for the Winter Classic. A nice touch. So let’s end on a high note for Buffalo, shall we? Get HbD Posts In Your Inbox!